With Windows XP, service packs were significant upgrades; XP SP2 was practically a new version of Windows. Even Vista SP1 was a major update, improving power management, network speed, search speed and adding hardware support like Blu-ray burning to bring it up to the same performance as XP SP2 (according to Microsoft). But although it included significant updates for business users using remote connections to a work server, for most people Windows 7 Service Pack 1 was little more than a rollup of updates and hotfixes. That's what Microsoft has been aiming at for years; service packs that don't add new features and that you already have if you've been accepting automatic updates. The general popularity of Windows 7 makes that easier to achieve. So what does that mean for Windows 7 SP2 and when will we see it? Counting up the updates that have already come through, Windows 7 SP2 will include well over 100 security and performance improvements (rumours earlier this year said around 130 for 32-bit systems and 170 for 64-bit, but the exact numbers will depend on how many more fixes are released before SP2 goes into testing, and the update is likely to patch Windows Server 2008 R2 as well as Windows 7). Just as new versions of Windows come every two to three years - "we think somewhere between 24 and 36 months between releases is about right," says Windows senior VP Steven Sinofsky - service packs come in between, every 12 to 18 months. Windows 7 went on sale in late October 2009 and SP1 came out in late February this year (exactly 16 months later). Microsoft also tries to get the latest service pack for the previous version of Windows out before the new operating system (the timing means stability and performance fixes that have been developed and tested as part of the next version can be ported back to the previous code base where possible). The Windows 8 release date is still unconfirmed, but we're expecting an announcement and public access to a beta version at Microsoft's Professional Developer conference this September and that argues for the code being finished in the middle of 2012 and on sale before Christmas. 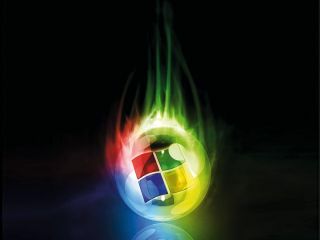 That makes rumours of a Windows 7 Service Pack 2 release date in the middle of 2012 plausible; June would be another 16 months. The pieces of SP2 you won't get in advance from automatic updates are what Microsoft calls hotfixes; urgent fixes for bugs that only occur on specific systems with specific combinations of hardware and software that are only tested on those combinations so the Windows team can get them out quickly while they work on a fix for the underlying problem and test that on the full range of PCs. Hotfixes are often available only directly from Microsoft support if you have the relevant setup and service packs include the updates with the underlying fixes; service packs are the way those underlying fixes are distributed but again this is very much business as usual. There are still some updates we'd like to see in Windows 7 beyond bug fixes. Search performance was something Windows 7 improved but over time results can get slower to appear on the Start menu as you type; better multi-threading support for indexing and search could help keep that fast even as the number of items on your system grows - and we've seen search improvements in service packs before. Most battery life improvements in Windows 8 concentrate on either better setup by hardware partners or on low-level kernel improvements that are tricky to retrofit. We do expect some extra hardware support, though. Even the non-fibre optic version of Intel's LightPeak that Apple is putting into MacBooks as Thunderbolt is about a year off on PCs so while that could coincide with SP2 it's still too soon to see support going directly into Windows. But SP2 could include direct support for USB 3.0 and SuperSpeed, so OEMs don't have to install specific drivers (and neither do you if you plug in a USB 3.0 add-on card). We certainly don't expect any of the major advances planned for Windows 8 to arrive in SP2; virtualisation and fast boot into specialised versions of the operating system will need significant testing and probably depend on updated BIOSes (which means more testing). Detecting what updates require a reboot will need more work on 'MinWin' (the isolated lowest layer of Windows that Microsoft aims to be able to swap out more completely in each new version of the OS). Similarly, support for ARM chips is a major rewrite and the work supporting x86 'system on chip' hardware is aimed at new PCs. Improvements to the touch options and the new 'immersive' phone-like interface in Windows 8 are tied in to a new programming model based on Silverlight and Windows Phone app frameworks. That's likely to be available for Windows 7 along with whatever app store Microsoft comes out with, but not until it's available for Windows 8 (especially as Microsoft is talking down tablets again in favour of natural user interfaces like voice and gesture, which seems less out of touch after the relatively disappointing sales figures for tablets that aren't the iPad). Natural interfaces means more than Kinect, but support for Kinect on PC that's broader than the current development kit aimed at researchers could well be the most exciting feature that could realistically make it into Windows 7 SP2. Gesture control for Media Center, games or web browsing would be fairly straightforward and a great introduction to the next-generation natural user interface we expect Microsoft is planning for Windows 8.